Mercury Rev are playing the Rolling Stone Weekender Festival on Saturday, November 7th, 2015. Tickets can be purchased through the Rolling Stone Weekender Festival website. Dates for the Autumn 2015 European tour are now on sale. The golden-voiced Nicole Atkins will be opening the shows in November. She will be playing solo. Check out The Queen Of Swans, the first track from The Light In You. 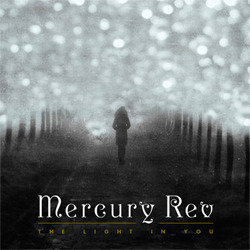 Mercury Rev's new album The Light In You will be released worldwide on October 2, 2015 through Bella Union.